Lumonyx, a unique supplier of illuminated alabaster and onyx inspired materials, offers clients the beauty of these sought after minerals for countless applications at an affordable cost. An American company dedicated to providing quality illuminated alabaster and onyx inspired products for every application, we take pride in meeting our goals as well as the needs of our clients. Valued for centuries for beauty and muted ivory and gold tones, these stones are precious. Never more beautiful than when they are illuminated, they exhibit a glow and texture that dazzles the eye. Our designers at Lumonyx realized that illuminated alabaster and backlit onyx is traditionally found only in the most lavish settings, in very upscale establishments or as part of luxury home décor. We learned early on that working with these stones is as prohibitive as the expense. Breathtaking as they are for beauty and elegance, alabaster and onyx are naturally thick, heavy and quite fragile, which renders them difficult for application. Designers are often persuaded to find other, cheaper and more practical materials, sacrificing the rich tone and grace of these natural minerals. At Lumonyx, we don’t believe clients should have to settle for anything less than the quality and beauty they desire. Finding an alternative to illuminated alabaster and onyx that was easier to work with and exhibited the same exquisite effect for backlit glass, bar lighting ideas, commercial bar tops and countertops. Creating a product that was less cumbersome than alabaster and onyx, not as heavy or thick, and worked well for projects for commercial use. High quality was priority one, plus perfectly crafted alabaster and onyx for backlighting bars, countertops, columns, tables, shelves and anything else our clients needed. We made a commitment to giving our clients all the beauty and elegance of alabaster and onyx at an affordable cost, while creating a material that lends itself well for application anywhere. We knew that illuminated accents in bars, restaurants and clubs are becoming more popular than ever, favored for high end decor and delightful for patrons. Lumonyx is thinner, translucent and durable, and offers maximum quality and ease in application. Only backlighting can achieve the modern, magical effect that patrons love for commercial bar tops, lighted columns and panels. Lumonyx illumination is far superior. As an accent for club or bar lighting, entertainment venue columns and signs, shelves and light tables for home or business décor, nothing has the same impact as dramatic, magnificent Lumonyx illuminated alabaster and onyx. Our work is widely recognized today, and is featured around the world, including the one and only Palmilla Resort in Los Cabos, Mexico and El Dorado Resort Casino in Shreveport, Louisiana. Improving on Mother Nature’s work by bringing clients the lovely muted tones of color and texture of marble alabaster and onyx, Lumonyx adds the magic of light, and the extra benefit of ensuring ease in application that other bar top suppliers are unable to offer. The exotic beauty of Lumonyx is equal only to its cutting edge quality. Illuminated Lumonyx club and restaurant accessories heighten the experience of going out on the town, while adding a glowing ambience, thrilling patrons and accenting decor . Superior Strength: Stronger than ordinary alabaster and onyx, superior Lumonyx is durable and effective for application. 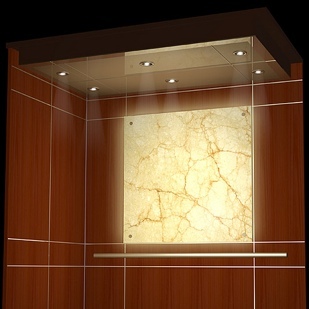 Easy to Use: Lumonyx is thinner and easier to handle, a designer’s dream for fine alabaster and onyx work. Installation can be handled efficiently and the results are breathtaking. No Special Tools Needed: Lumonyx is easily installed by professionals, which include carpenters, setters and glaziers, using only the basic tools. Quality Lighting: Illumination is uniform and high quality, due to the consistent depth of Lumonyx alabaster and onyx inspired panels, dramatically lighting up every area of application. Custom Sizing Available: Lumonyx is available in 4 feet X 8 feet sheets and can be custom designed to meet client needs. Fast, efficient delivery: White onyx and alabaster Lumonyx is in stock and ready to ship. Other stone colors and special orders are supplied on a made-to-order basis, according to client specification. Lumonyx is a translucent molded stone with an alabaster look available in a variety of soft colors of quarried alabasters, from pure whites to creams and golden. © 2007-2019 by Lumonyx. All Rights Reserved.